Why Is the Mobile Development So Necessary? Let’s face it: consumers are increasingly demanding mobility and accessibility from their favorite brands every year, and the use of applications on the run and even making a purchase without interrupting from business has become commonness. Companies that do not have high-quality mobile applications lose a lot compared to their competitors, its becoming vital to hire app developers to develop an app. Thus, the primary task of almost any business is to keep the consumer’s attention for the time sufficient to formulate a thought in consumer’s mind about purchasing of your product or service. 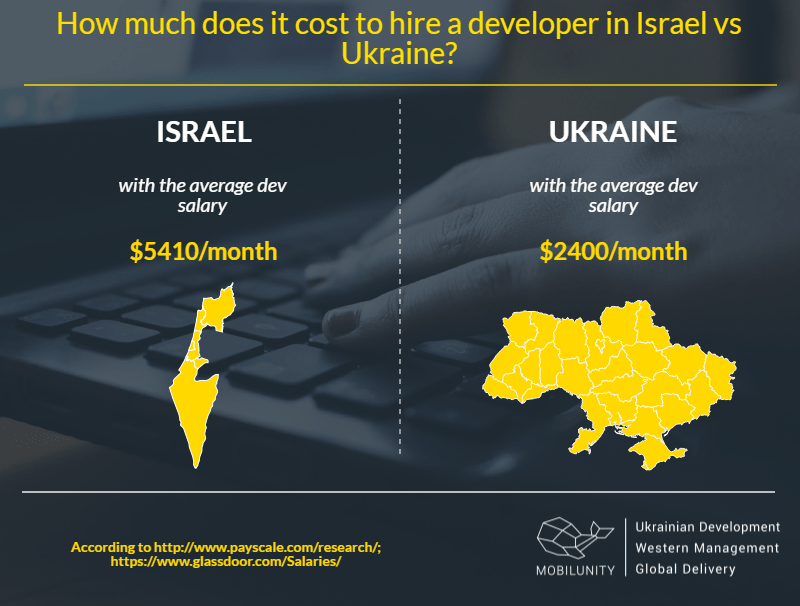 For this purpose, personnel outsourcing services and mobile app developers Israel are needed. All the applications are created for two basic operation systems, which are Android and iOS. Each of them has its peculiarities and popular technologies used. The operating system iOS was introduced personally by Steve Jobs, it holds a leading position in the mobile device market. This system can be called the best one as it successfully gained the big part of the market, thanks to the popularity of the iPhone, which in turn affected the growth of activity and the development of such platforms as Android and Windows. The basic technology used by an iOS developer Israel is Objective-C. It is a simple language designed for object-oriented programming. Objective-C, as well as C ++ is an extension of ANSI-C and has support for such features as the description of classes, methods, and properties. Thus, the position of Objective-C developer is highly appreciated in mobile app development. Unity. It is almost universal graphics engine. It has its own independent development environment, in fact, it is a powerful tool for creating 2d and 3d applications and games. 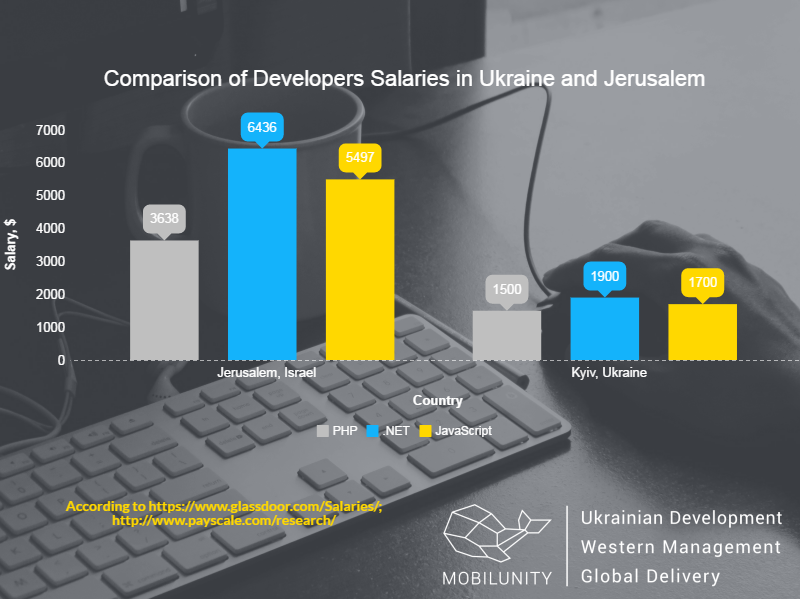 After comparing wages of programmers in these two countries, it becomes obvious that it is no reason to pay more because high price does not always mean high quality and it makes sense to hire iOS developer in Ukraine. Hiring dedicated developers in Ukraine will bring you the best possible result and you will receive an opportunity to invest saved money in your next successful project. You can consider hiring app developers in Tel Aviv, but will benefit from choosing our team! How? Get in touch and learn more!